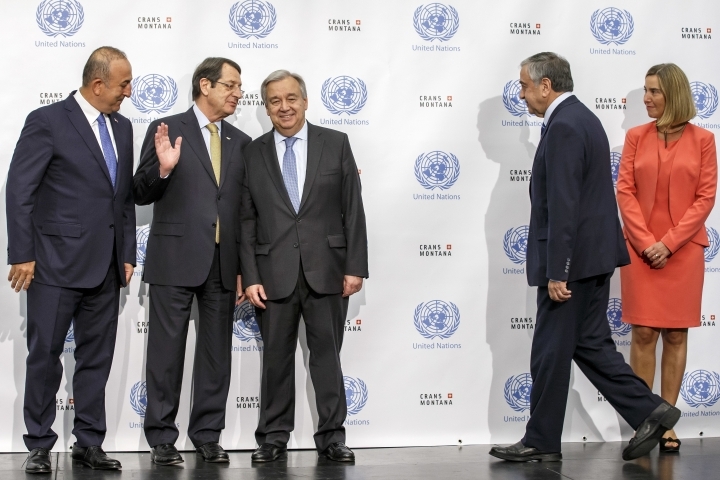 NICOSIA, Cyprus — U.N. Secretary-General Antonio Guterres sought Thursday to steer rival sides in Cyprus peace talks to agreement on a broad range of issues that are holding back a deal to reunify the ethnically divided Mediterranean island nation. 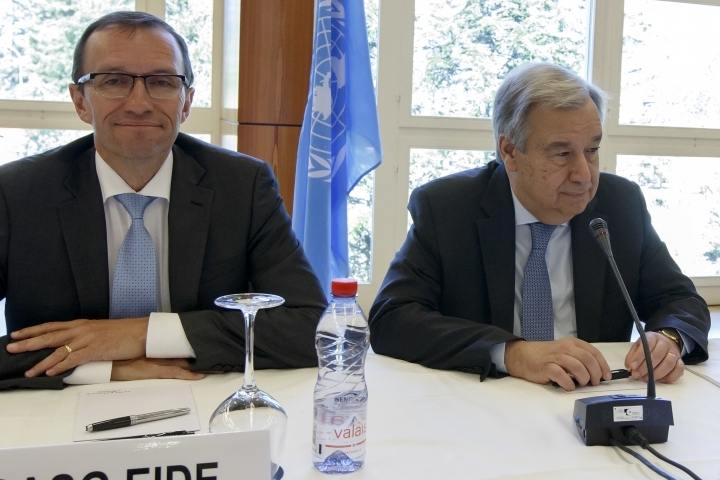 Appearing for the second time at the peace talks taking place in the Swiss resort of Crans-Montana, Guterres is looking to break the logjam on the ninth — and most crucial day — of discussions. 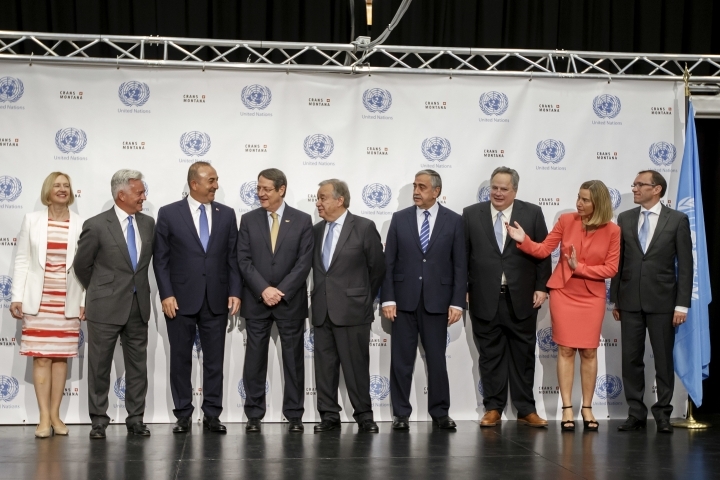 Given the fine balance between the two sides, Guterres is taking soundings in order to gauge where the participants stand on key issues, such as future security arrangements for Cyprus, which has been divided for 43 years. 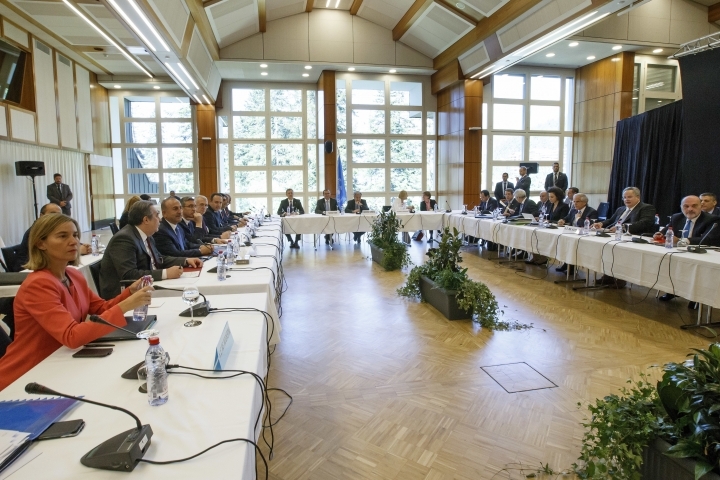 It's hoped he can get the parties to agree on a framework agreement. 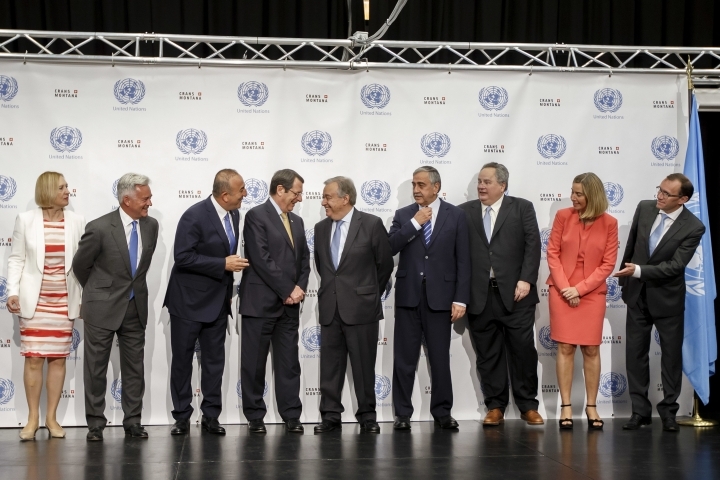 The details would be worked out in the coming weeks before a finalized accord ending Cyprus' is put to the island's Greek and Turkish communities for a vote. 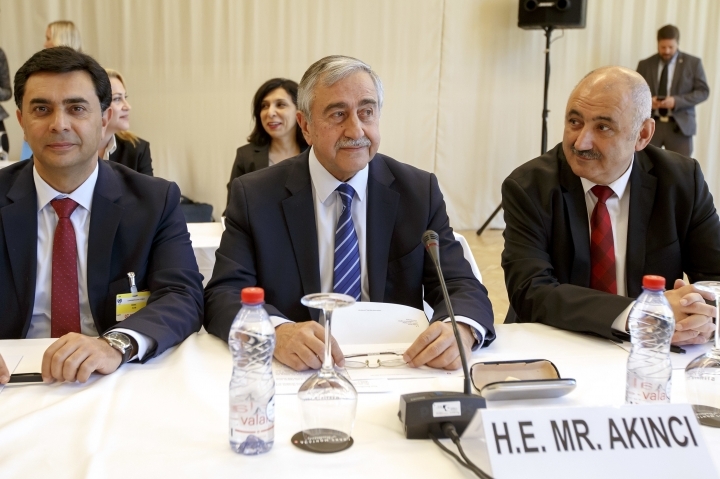 "It will be a long day and a long night," said Turkish Cypriot leader Mustafa Akinci. Earlier, he said "this is a day of decisions." 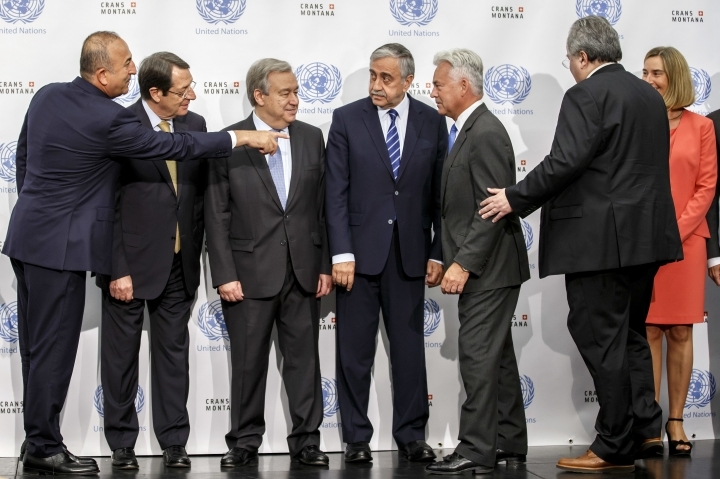 Key to progress in the talks between Akinci and Greek Cypriot President Nicos Anastasiades will be the input of Cyprus' so-called guarantors — Greece, Turkey and Britain. Although many issues remain unresolved, the island's future security remains a primary stumbling block to an overall accord. The issue revolves around the more than 35,000 troops that Turkey has kept in the island's breakaway Turkish Cypriot north since 1974, when it invaded following a coup mounted by supporters of uniting Cyprus with Greece. Greek Cypriots perceive the Turkish soldiers as a threat and want them all gone. The island's minority Turkish Cypriots want them to stay as their protectors. Turkey's foreign minister said this week that a full troop withdrawal was out of the question. 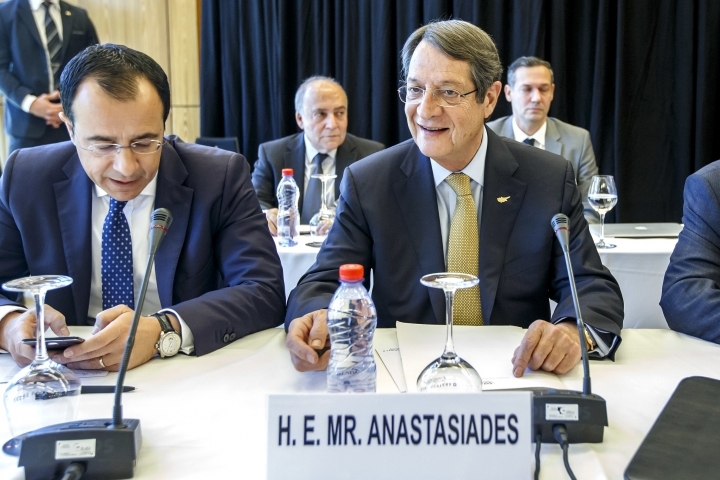 Greece also wants military intervention rights that Cyprus' 1960 constitution granted to the guarantors abolished. Turkey wants to retain some of those rights. 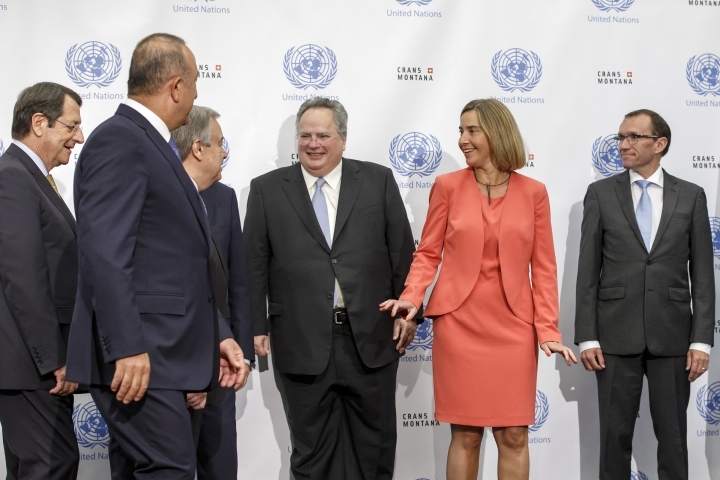 "I think that (Guterres) is showing understanding that a normal state, a term which he himself has adopted, to remain under pressure from third countries, their presence or guarantees or their troops," Greece's Foreign Minister Nikos Kotzias told reporters. The European Union is also attending. 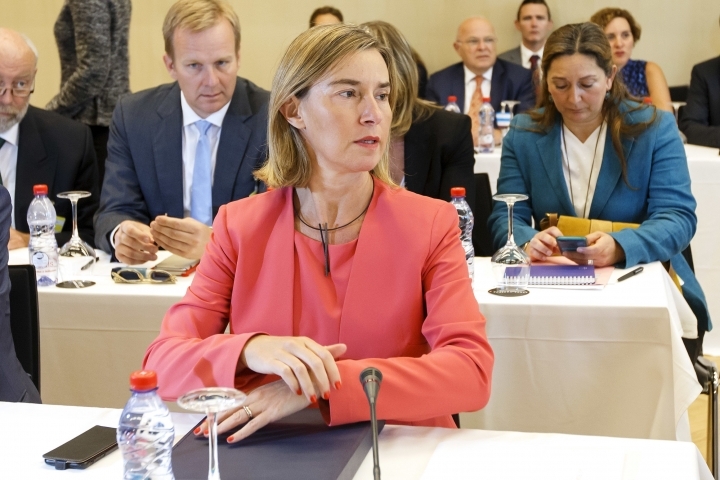 EU foreign policy chief Federica Mogherini said the EU fully backs the talks and that she's optimistic. Cyprus is an EU member EU but only the internationally recognized Greek Cypriot south enjoys the benefits of membership.